I just made a fantastic chilli-con-carne. 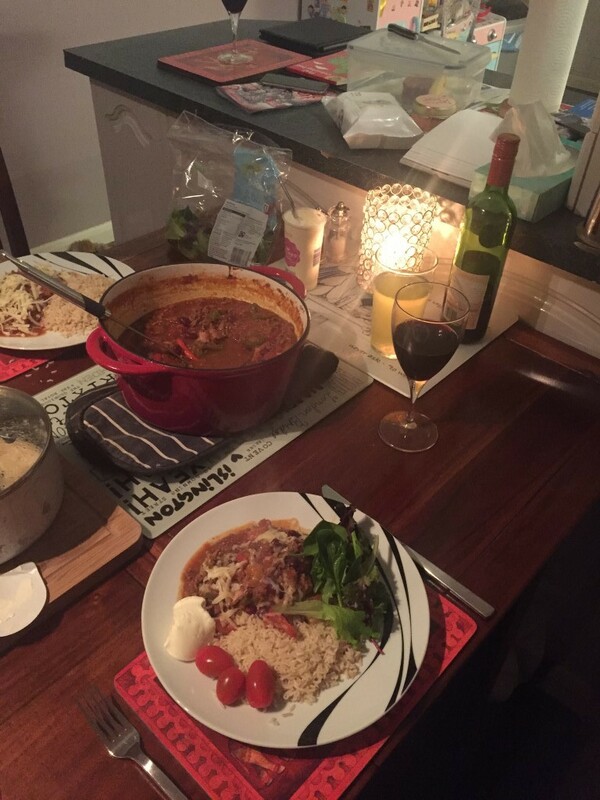 So often I just bung food together and sometimes it turns out well, other times not so well. Then I forget what made it work. Not this time! 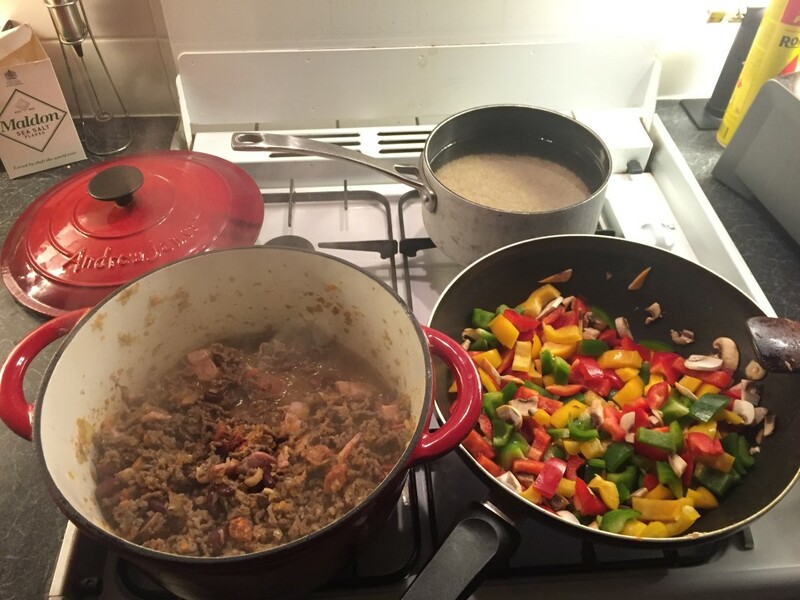 This recipe makes enough chilli to feed about eight people sensibly, or stuff six people. I made enough rice for three people initially and froze the rest of the chilli. I used a medium sized wok, a big casserole pot, and a medium pan for the rice. A decent blender is a must unless you want to spend an awful long time chopping. Wash the rice. Leave to soak in cold water in the rice pan. Bung the oil and spices into the wok. Warm on a low heat. 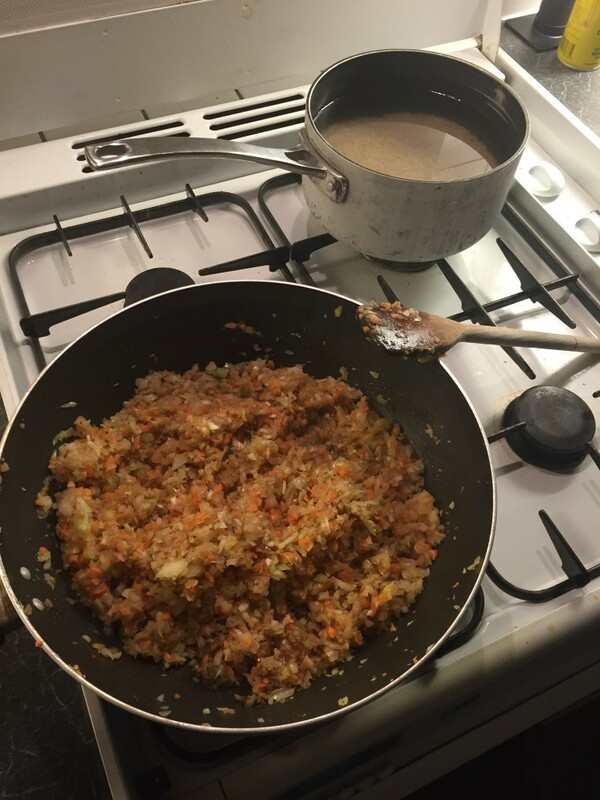 Bung the onions, garlic, carrots, celery and a few mushrooms into the blender. Blend! Turn up the heat and dump the contents of the blender into the wok. Now transfer that to the casserole pot, and get some oil warm ready to seal the meat. Chop some mushroom, the bacon and chorizo, and get meaty! Once that’s done, transfer the mince and chopped meat and mushroom to the casserole pot. If necessary refresh the oil in the wok, and then soften the bell peppers, some more chopped mushroom and the chillies in there. After 5 or so minutes of that, transfer the contents of the wok to the casserole pot, and wash up the wok. Add the beef stock, the kidney beans, then the chopped tomatoes to the casserole pot. Add the jalapeño peppers. I might even put a whole jar (drained) in. At this point add as much ketchup and sweet chilli sauce as you need. The bacon and chorizo have probably made it salty enough already. The ketchup will add thickness, salt and sweetness. The sweet chilli sauce will of course add sweetness and a little spicy tang. Once you are done here you can hold the dish in this condition for as long as you like. 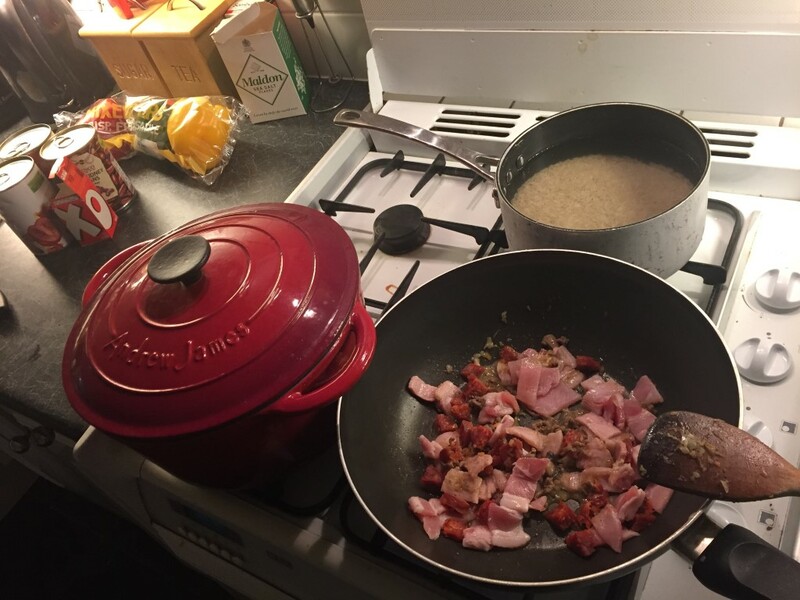 When you are ready to proceed, cook the rice and serve with the cheese, salad and crème fraîche. And wine, of course!